The UK has been battered by wind and snow this week as the #BeastFromTheEast lived up to its name. 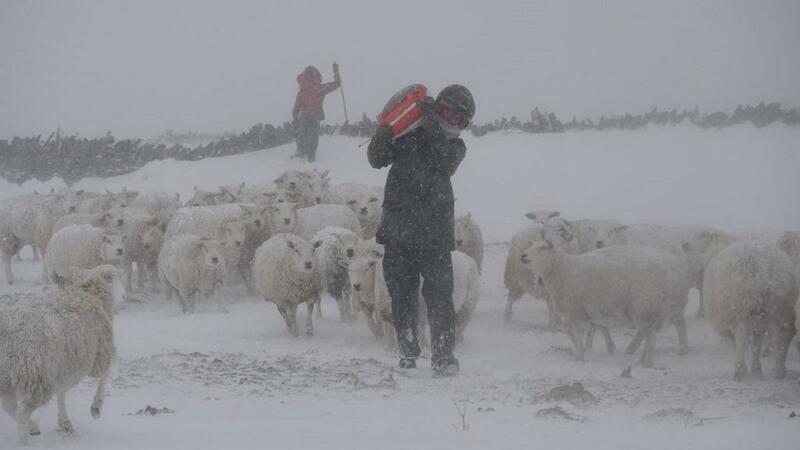 But farmers across the country have battled on in the wintry conditions - and some of the scenes have been pretty spectacular! Douglas Ross, NFU Scotland, said: “Weather condition over the last 24-48 hours have been unseasonably treacherous, and while this has meant that many business have been able to close down for the day farmers do not have such a luxury. “The poor conditions have meant that many livestock farmers have not been able to receive deliveries of feed for their stock, a particular problem at this time of year as many keep their stock inside during the winter and those who still have grazing outdoors will want to be feeding on top of that in this weather. “Some of our dairy members have had issues with milk tankers not being able to come and collect full tanks. This is a serious problem as it could mean that these farmers will have to make a decision on whether or not do dump the milk which has not been collected on the day, causing serious financial hardship on farmers who can scarce afford it. The #BeastFromTheEast captured beautifully by Joanne Gray!